It is very hard to open your social media feed, turn on the news or read the newspaper and not hear a story about another incidence of police brutality. It has become quite common in our society and we are no longer just sensitized to it; we are thoroughly baptized in it and each day a new incidence is a little less surprising. As a result of this, it is very likely that police brutality will be a topic you will be asked to write about in one of your classes. Please don’t think that this subject is limited to criminal justice classes as the topic is so controversial and diverse that it can be a topic in psychology, English, sociology or history. 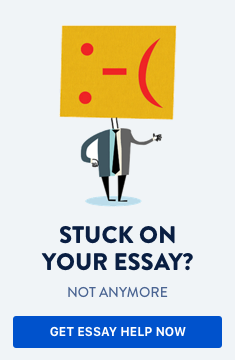 Whether you are asked to write an argumentative, compare and contrast or opinion police brutality essay, there is an abundance of information to support whatever argument you put forward. When writing your police brutality essay, here are some frequently asked questions that can help you. How do you define police brutality? Police brutality is a form of misconduct by police officers involving the use of excessive and /or unnecessary force when dealing with civilians. It is a widespread issue in many countries across the world, whether or not the offense is prosecuted. Inadequate training, supervision and guidance of officers. The standard for what constitutes as brutality varies. In some cities, the crimes committed are so violent that police officers believe that they need to respond in kind. Incidences of brutality are often covered up, leading to officers believing they can and will always avoid the consequences of their actions. The consequences for police brutality are minimal to non-existent. Racism and racial profiling result in a police officer exerting additional force on some races compared to another. How to solve police brutality? Diversify the police department so that there is a mix of all races. Sensitize officers to the hazards of racism, especially while on the job. Train, supervise and guide officers in the ethical and moral ways to carry out their duties. Establish a code of conduct and penalties for police brutality offences. Define all “types” of brutality and have varying levels of consequences for each offence. Provide avenues for civilians to safely report incidences of brutality and ensure that each incidence is investigated by an independent agency and the necessary penalty levied. Random and routine drug and steroid tests for all officers. What would be a good thesis for my essay on police brutality? There are several ways to look at police brutality. As such, when writing an essay about police brutality, there are several thesis options to explore. Proper training of police officers can end police brutality. What are some good police brutality topics? Should Police officers face criminal charges for their actions? Are police departments equipped with the tools to train police officers to be citizens as well as our protectors? Will adequate training of officers reduce the incidences of police brutality? Are policemen more brutal than policewomen? Define police brutality, its types/classification and possible penalties for each offence. Should we sensitize children to police brutality? What is the correlation between police brutality and corruption in the force? What should be the penalties for police brutality? What can the government do to stop police brutality? How to write annotated bibliography on police brutality? When writing the bibliography for a police brutality essay, it is necessary to record all the sources used to get information. This should take the form of a list of citations from any resource used followed by a short description. How to make a persuasive speech on police brutality? A history of police brutality, where it first happened, the circumstances, etc. should be given so that a background is provided. Outcomes of police brutality incidences. Possible actions taken in the past, their impact and how they can be changed or improved on. Possible new actions that can be taken. Remember that it is a persuasive speech so you must state your point of view (thesis statement) and provide reasons to support your points. A persuasive speech on policy brutality should include: 1) history of police brutality; 2) examples; 3) outcomes of incidences; 4) reasons; 5) possible actions taken in the past; and 6) possible new actions that can be taken. What are some examples of police brutality? Use of excessive force during an arrest. Making a false arrest or wrongfully imprisoning a civilian. Seizing a civilian’s property wrongfully. Wrongful search of a civilian. What are some good police brutality articles I could use in my research? Is writing a police brutality research paper more difficult than an argumentative essay on police brutality? No, writing a police brutality research paper is not more difficult than an argumentative essay because both require an extensive amount of research and the writer has to give various points for and against the issue. Writing a police brutality research paper isn't more difficult than an argumentative essay because both require an extensive amount of research and the writer has to give various points for and against the issue. The subject of police brutality is a very sensitive, volatile and controversial one as opinions on this vary between persons, cities, states and countries. Regardless of these factors, it is a topic that needs to be discussed as solutions must be found to tackle the issue. Why not let your next piece of literary art be a police brutality essay so that you can be a part of the conversation?